I'd heard of this before because they use this test a lot at job interviews and when considering who to promote to various positions. Though I'd taken the test (turns out my last job was perfect for me btw) I'd never been told my result. Then a friend suggested that I take the test and it was a lot more accurate than I expected..
You can take the test here and there are just 4 steps..
Spontaneous Idealists are creative, lively and open-minded persons. They are humorous and dispose of a contagious zest for life. Their enthusiasm and sparkling energy inspires others and sweeps them along. They enjoy being together with other people and often have an uncanny intuition for their motivations and potential. Spontaneous Idealists are masters of communication and very amusing and gifted entertainers. Fun and variety are guaranteed when they are around. However, they are sometimes somewhat too impulsive in dealing with others and can hurt people without really meaning to do so, due to their direct and sometimes critical nature. This personality type is a keen and alert observer; they miss nothing which is going on around them. In extreme cases, they tend to be oversensitive and exaggeratedly alert and are inwardly always ready to jump. Life for them is an exciting drama full of emotionality. However, they quickly become bored when things repeat themselves and too much detailed work and care is required. Their creativity, their imaginativeness and their originality become most noticeable when developing new projects and ideas - they then leave the meticulous implementation of the whole to others. On the whole, Spontaneous Idealists attach great value to their inner and outward independence and do not like accepting a subordinate role. They therefore have problems with hierarchies and authorities. Dreamy Idealists are very cautious and therefore often appear shy and reserved to others. They share their rich emotional life and their passionate convictions with very few people. But one would be very much mistaken to judge them to be cool and reserved. They have a pronounced inner system of values and clear, honourable principles for which they are willing to sacrifice a great deal. Joan of Arc or Sir Galahad would have been good examples of this personality type. Dreamy Idealists are always at great pains to improve the world. They can be very considerate towards others and do a lot to support them and stand up for them. They are interested in their fellow beings, attentive and generous towards them. Once their enthusiasm for an issue or person is aroused, they can become tireless fighters. For Dreamy Idealists, practical things are not really so important. They only busy themselves with mundane everyday demands when absolutely necessary. They tend to live according to the motto “the genius controls the chaos” - which is normally the case so that they often have a very successful academic career. They are less interested in details; they prefer to look at something as a whole. This means that they still have a good overview even when things start to become hectic. However, as a result, it can occasionally happen that Dreamy Idealists overlook something important. 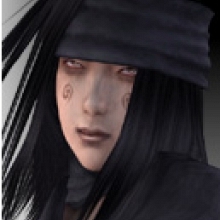 As they are very peace-loving, they tend not to openly show their dissatisfaction or annoyance but to bottle it up. Assertiveness is not one of their strong points; they hate conflicts and competition. Dreamy Idealists prefer to motivate others with their amicable and enthusiastic nature. Whoever has them as superior will never have to complain about not being given enough praise. As at work, Dreamy Idealists are helpful and loyal friends and partners, persons of integrity. Obligations are absolutely sacred to them. The feelings of others are important to them and they love making other people happy. They are satisfied with just a small circle of friends; their need for social contact is not very marked as they also need a lot of time to themselves. Superfluous small talk is not their thing. If one wishes to be friends with them or have a relationship with them, one would have to share their world of thought and be willing to participate in profound discussions. If you manage that you will be rewarded with an exceptionally intensive, rich partnership. Due to their high demands on themselves and others, this personality type tends however to sometimes overload the relationship with romantic and idealistic ideas to such an extent that the partner feels overtaxed or inferior. Dreamy Idealists do not fall in love head over heels but when they do fall in love they want this to be a great, eternal love. I agree with ALL of that. Except the part where it said "They are less interested in details; they prefer to look at something as a whole." Details of everything matter very much to me. Great find Jem! I love these little quizzy things! Independent Thinkers are analytical and witty persons. They are normally self-confident and do not let themselves get worked up by conflicts and criticism. They are very much aware of their own strengths and have no doubts about their abilities. People of this personality type are often very successful in their career as they have both competence and purposefulness. Independent Thinkers are excellent strategists; logic, systematics and theoretical considerations are their world. They are eager for knowledge and always endeavour to expand and perfect their knowledge in any area which is interesting for them. Abstract thinking comes naturally to them; scientists and computer specialists are often of this type. Independent Thinkers are specialists in their area. The development of their ideas and visions is important to them; they love being as flexible as possible and, ideally, of being able to work alone because they often find it a strain having to make their complex trains of thought understandable to other people. Independent Thinkers cannot stand routine. Once they consider an idea to be good it is difficult to make them give it up; they pursue the implementation of that idea obstinately and persistently, also in the face of external opposition. Adjectives which describe your type: introverted, theoretical, logical, planning, rational, independent, intellectual, self-confident, analytical, structured, dogged, witty, resolute, self-critical, visionary, inventive, independent, unsociable, reserved, nonconformist, quiet, visionary, honest, demanding, hardworking. Seems pretty much it. Underlined what I most agree with. But... witty? Yeah right. If my brain worked any slower it would grind to a halt. Pretty good, although I do notice small details (I'm an observant type) and, on that note, am actually very quick at catching "wordplay", even if I don't let others be aware of that - definately not into mind games, as I prefer to ignore those types, hmph. This sounds like me, but at the same time, not completely accurate - it is very interesting though, indeed. Heh, it's nice to have another Dreamy Idealist here Pris! I was getting kinda lonely. # SumSamurai : Heh, it's nice to have another Dreamy Idealist here Pris! I was getting kinda lonely. I'm a Spontaneous Idealist, I love this kind of stuff! I kind of figured this would be me when I read Jemma's.. Sweet!! You're the same one as me Angelboy!! Yeah, it seems to be surprisingly accurate though it is still worrying that recruiters use it when deciding whom to employ. It's almost as scary as the Japanese judging candidates by their blood type (this DOES happen :o ). Oh and Vijay, oddly enough, almost every job I have done is listed under the type of work I am suited to ^^ No wonder I usually enjoy my work!! Oh oh and.. I've noticed that most of us are some kind of 'idealist'. 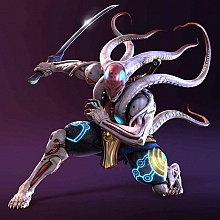 Explains why we get along so well but, what's the link between being an idealist and loving Yoshimitsu? ?